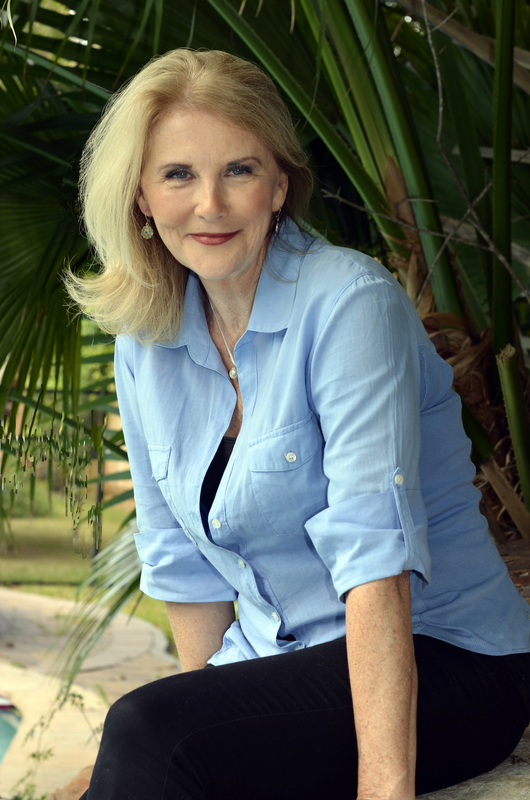 I’m Margaret McBride, author of the spiritual thriller, “That Melvin Bray”. I’m a daughter, sister, wife, aunt, mother and grandmother. I love God, my family, your family and my country. I’ve had a very interesting life so far and have enjoyed way more blessings than I deserve probably. My goal in this Gift of Life He has bestowed upon me, is to live my Gift in a way pleasing to Him, so that my eternity will be spent with Him. Amen! Welcome to my world—I’d love to hear from you! Hey there, Janet!! I’m so glad to connect with you but sorry we won’t get to visit at the book signing. You just have a great baby shower, OK? Babies are way more important than an ole book signing anyway! We’ll plan something down the road, OK? Glad to hear you’re not too far away; I love the beach but the closest I get is Hilton Head a couple of times a year; better than nothing though, right? I’ve been in Atlanta for a long time now and get up to Asheville several times a year, I do love the mountains. So take care and don’t make me laugh toooo hard…OOPS!! What an absolutely beautiful picture of you! You look fantastic! I would be there with bells on next week but my 4-year-old-going-on-14 granddaughter in Charleston has invited us to Grandparents Day at her preschool Friday, so, of course, off we go. Would dearly love to see you (Janet, they will talk about us both!!) and hope you’ll be back. I had no idea you were an author and am VERY impressed! Way to go, girl! As an old English major, I am always envious of those who can write. I could crank out term papers like a queen, but didn’t have enough originality to devise even a short story to save my life. Hats off to you. I will look forward to reading the book.Loved “The Shack” myself–had the advantage of a seminar on the book at our church last year taught by one of our retired ministers who is a true academic and reminds us all of the best teacher we ever had. Awesome class. I’m right here in Asheboro, so I hope you will be back and would love to see you. Have fun next Saturday. How wonderful to hear from you, honey! So sorry you can’t come on the 22nd, but I understand and can relate to those grandbabies! They certainly come first in MY book too! I’m certain you could write a book; “they” say “everyone has at least ONE book in ’em”…I guess it’s just getting it OUT that’s the scary part, huh? As far as those term papers go…now, see, that wasn’t my strength-no way! Well, either way, I sure appreciate your kind words and am glad you’re acquainted with The Shack…what a book, right? And, as far as that photo goes – well, I just grabbed some lady in line at Kroger the other day and ask her to pose for me…haha. How did you find the courage to re-live such a devastating account of troubling memories of a childhood surrounded by fear and sadness within your own family? I envy your perseverance and ability to forgive the outrageous acts of cruelty that you and your siblings were forced to endure at the hands of your father. Ya know, that one question seems to come up more than any other when I’m discussing my book and I realize that until I started writing about my past, I had pretty much hidden it away — so far away in fact that I truly wasn’t consciously aware that I had been suffering my past my whole life. That, of course is why I referred to myself in the book as the “great pretender”. As I got deeper and deeper into the past, my heart and mind became friends and began to work together in the process of healing me. The more I wrote, the more I cried; the more I cried, the more I prayed for God’s mercy, guidance and spiritual healing. By the time I finished the book which took four years, all my prayers had been answered and I was able to come out of the dark and face it all once and for all. I was well aware that all this suffering was based on one fact: I had been so mad at my father my entire life that I had become emotionally, spiritually and even physically drained. My answer: GOD showed me the way…all the way to the very last word on the very last page of my book. It’s truly amazing too, that as painful as it was, I felt His presence and never once doubted for a minute that He was in charge of this project. I just put down one word at a time…word, after word, after word. I can’t believe that the book I have been wanting to read is written by you. My sisters and I went on a trip together this past weekend and Karan mentioned going to your book signing. When I asked her what was the name of the book and she responded, That Melvin Bray, I almost flipped. I took a post-it note out of my pocketbook, and we both laughed. On the post-it note was “That Melvin Bray”, Maggie McBride. Now I am bound and determined to get my hands on your book. If there is any way possible for me to get a signed copy from you, I would be more than glad to pay cost of book plus shipping and handling. Karan was so glad to see you, and so very proud of your accomplishments. Your sister Lynn and I were in school together. I always thought that she was such a beautiful girl and she had a personality to match. When you speak to her, tell that I said hello. I’ll send you a signed copy right away. I’ll also pass on your message to my sister Lynn, as I’m certain that will put a big smile on her face. Come back and visit me here on my blog…it will be very special to have you here. Take care of yourself and may our sweet Lord bless you and all those you love, today and always.